Snowball Fight! is a game where players are asked to hit characters appearing randomly on-screen with a snowball, which then leads to a question to be answered. 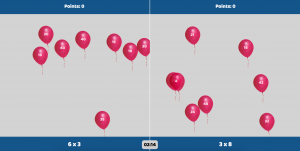 Though the questions are related to math by default, they can be modified so that they can contain any topic the teacher wishes, making the game highly customizable and can be adjusted for any grade. Teachers can make turn this into a competitive challenge by forming his students into teams, with each team having a representative. The representatives quickly tries to guess under which object on-screen the random character will appear in, with no two teams having the same guess. 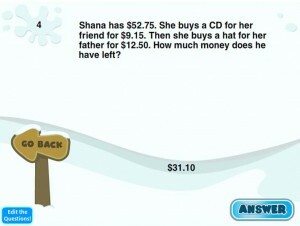 Whomever gets the correct answer will earn his team a point, provided that they are able to answer the given question. A simple counting game where children are asked to count the number of animals that they can see on-screen, then color one square for each in the grid below. 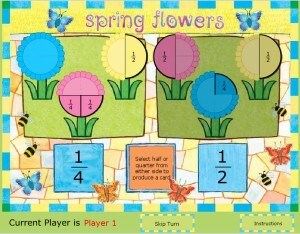 Aside from exercising their counting abilities, this introduces them to the basic concept of charts and grids. The teacher can opt to let the entire class count together, or to separate them in teams, where each group fills up a grid of their own that their teacher had prepared in advance. The students submit their grids, and the answers are checked against those entered in the game itself. 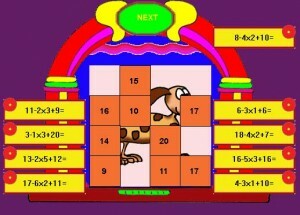 The teacher can then tally up correct answers, either by individual pets, or by entire grids – possibly even a combination of both. 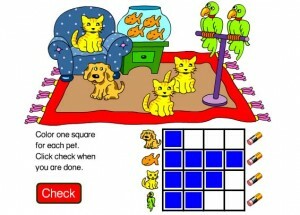 There are at least two pictures, but the number of pets that appear are randomized, so the facilitator can run the game however times he would like. The team that earns the most points at the end wins. 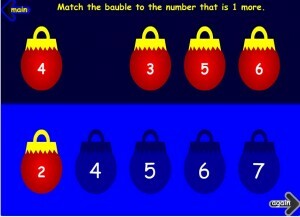 Allow your students to reveal the hidden picture by matching the equations to the side with the boxes containing their corresponding answer. But beware, for they should also take note that they should follow a certain operational order when performing their calculations; otherwise, they would not be able to match the boxes correctly! 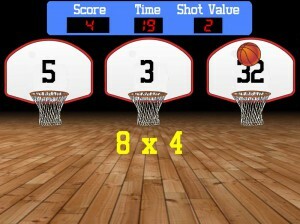 There are a number of ways to convert this into a team game. The teacher can opt to time each group to see how long it would take for them to reveal the mystery picture – the group with the fastest time wins. Alternatively, each group could be given a set time to reveal as many hidden pictures as they can, with the team revealing the most winning the game. Another possible option is that the groups could take turns in revealing a box and then attempting to guess what is hidden underneath; the group that makes the first correct guess wins.